Janet was the third of five children born to Henry and Mary (Basel) Kondrat. She describes her growing up years as very normal—surrounded and nurtured by a happy, loving family. Throughout life, these strong, lasting bonds were a source of energy and life as all joys and concerns were held in daily prayer. She viewed her family as God’s promise of love and hope for our world. Janet attended St. Ann Elementary School, Cleveland Heights, and then Regina High School, South Euclid. 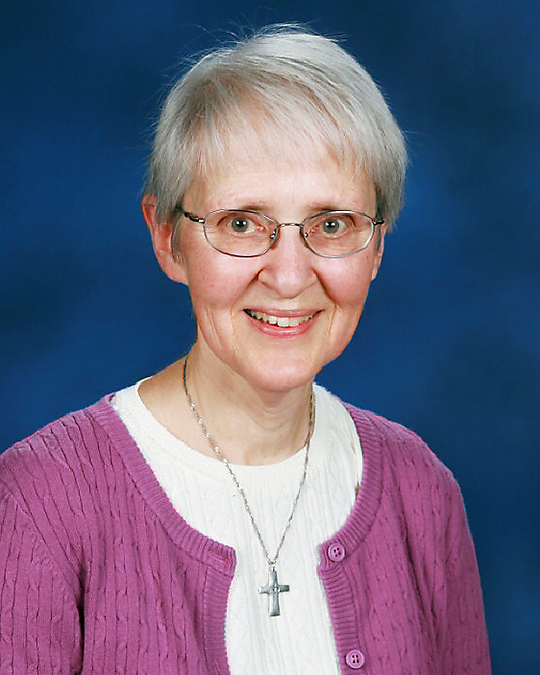 She commented that her high school years “played the most important role in my life, as the experiences I gained there helped me to realize my vocation.” Just one month after graduation, July 2, 1959, Janet entered the Sisters of Notre Dame and at investment received the name Sister Mary Anthon. Later, she returned to her baptismal name, Janet. 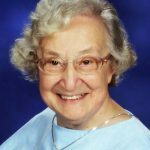 For the next twenty-six years, Sister served her sisters in community through her dedicated and creative ministry in food service. She learned quantity cooking quickly, collected favorite recipes and learned about food preparation and good food choices. Sister enjoyed adding “extra special touches” to her cooking and was always eager to learn from reading, from fellow cooks and from those for whom she prepared meals. 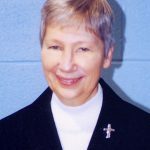 In 1987 Sister Mary Janet transitioned into a new ministry, that of secretary and office manager. While earning an Associate Degree in Applied Business, she assisted as secretary at St. Michael School and Metro Catholic Parish School, both in Cleveland. 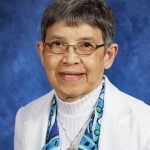 For the past twenty-one years, as office manager at St. Augustine Parish, Cleveland, Sister’s heart was with the poor, trying to respond to their needs by being present and caring deeply for their well-being. As a gentle, welcoming presence and the epitome of graciousness, she reached out with kindness, integrity and compassion. She learned sign language, played guitar at Sunday Mass, volunteered for any need and helped keep the parish running smoothly. In her presence, every person felt loved. 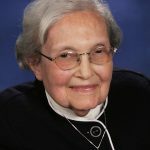 Native American spirituality was special for Sister Mary Janet; she treasured God’s gift of creation while camping, hiking, bird-watching and walking. She could recognize the smallest of exquisite wild flowers. Just three years ago, Sister was diagnosed with Parkinson’s disease and the onset of early dementia. She was challenged to “give up” so much of what was held dear. This quiet, unassuming, prayerful woman, with a twinkle in her eye and a warm smile for all, continued to reflect the presence of God within. May she rest peacefully in the loving embrace of our gentle Jesus.